Are you looking for trees near Canterbury for your garden? At Thompson’s Plants Nurseries, we make sure our customers can find everything they want for their gardens. Of course, while plants fill up most part of a regular garden, you cannot neglect the beauty and significance of a few trees placed strategically. This is why we have fully grown trees available near Canterbury, and there are plenty for you to take your pick. Garden trees come in many shapes and sizes. Our customers ask for many types of trees and for varying reasons. This is why we keep a broad enough stock of trees to satisfy all of our customers. Most of our customers who visit us to buy trees near Canterbury often have some sort of edible fruits in mind. They will ask if they could get an apple tree or a peach tree, or they will ask if we have stocked any citrus trees near Canterbury. 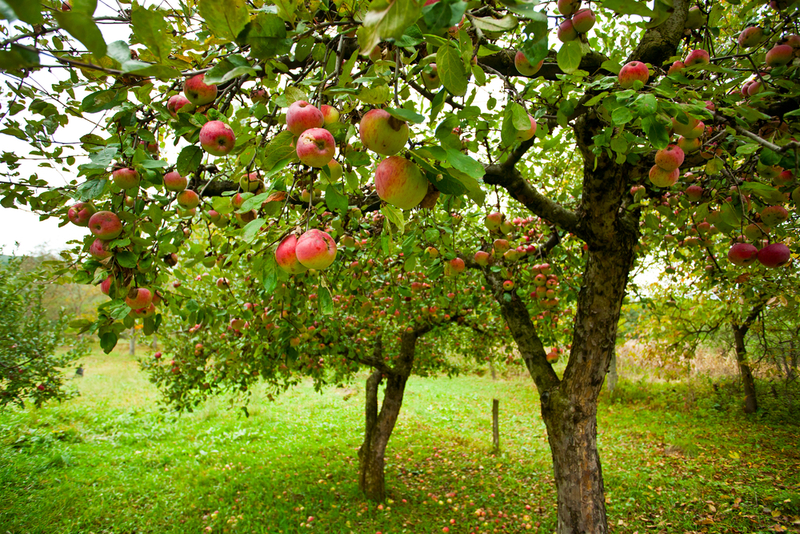 Therefore, we grow our own fruit trees near Canterbury using our expert selection of soil and fertiliser. You will find a number of options available if you visit us to buy fruit trees, including nuts trees near Canterbury. The second most popular demand of customers who want to buy trees comes for flowering trees. If you seek flowering trees near Canterbury, we have a big range of them in our premises, including Juneberry, Crab Apple, Hawthorn, Flowering Cherry, and Magnolia Galaxy. Flowering trees literally take your displays of flowers to new heights. Then there is the matter of evergreen trees, which are so popular because they look fresh and lively throughout the year. If you want evergreen trees near Canterbury for your garden, you will find a fine collection in Thompson’s Plants Garden Centre that includes Cedar, Cornubia, Ilex, Prunus, Cypress, Olea, Red Robin, and others. Some garden owners who love trees a lot like to have something in their garden that blooms in the cold season. For such customers, we keep a broad range of autumn colour trees near Canterbury available in our after-summer stock. They bloom in autumn and flower through the winter, giving your garden beautiful colours in abundance while the rest of your plants are taking a respite. Our autumn leaves trees near Canterbury include Beech, Japanese Maple, Tupelo, and Spindle among others. Ornamental trees near Canterbury are also sought after by many garden owners. These trees have fascinating physical features that make their beholder look twice. They often have beautiful and unusually patterned bark or foliage in extraordinary colour. In our inventory of trees near Canterbury, most kinds of Birch fall into this category along with Sweet Chestnut, Tibetan Cherry, Strawberry, Paper Bark Maple, and more. While having your garden full of beautiful and useful plants may be the primary reason for many gardeners to adopt the hobby, some people love the presence of grown trees in their garden. Interestingly, trees can do a lot of things for a garden owner that small plants cannot. For instance, trees can help add the ultimate forest effect to your garden, due to their expansive foliage and all the wildlife they attract. Garden trees give wonderfully cool shade where you can sit and have tea around your plants in hot summer afternoons. With trees, you can give your garden a mature look even if you are only starting out with building a new home garden. The benefits of planting trees in your Canterbury garden are numerous but only these should be enough to persuade you to get a few trees for your garden. If you are not sure what kind of trees you should be taking home during your visit, make sure you talk to one of our sales people about it. Our team is made up of avid gardeners who love to share their knowledge and expertise. Visit us soon and buy your favourite trees near Canterbury!